It’s time to cook up some new apps and games and a whole lot of excitement with the #BossLadies at Game Shakers. Nickelodeon’s highly-acclaimed and hit show, Game Shakers is definitely one of our favorite shows to binge-watch and for so many reasons. We absolutely love the entire cast and all of the exciting episodes, and we especially love how the two, lovely ladies – both Cree Cicchino and Madisyn Shipman, bring about a whole lot of girl power both on and off the show. Starring in the outstanding show as Babe is the one and only, Cree Cicchino. The phenomenal Cree Cicchino truly defines perfection in every way possible – she’s fierce, she’s fabulous, she’s super stylish and one brilliant actress. Cree brings so much love and life to everything that she works on and it’s always a blast to see her on our TV screens. She definitely brings extra excitement to the show and Cree never fails to leave us in awe with just how talented she is. Besides being a marvelous actress, we all also know Cree Cicchino for being an incredibly skillful dancer. We’re always #shook each and every time we watch her dance videos and we’re totally wishing she could teach us her ways of being just as extraordinary as she is. Cree Cicchino is totally a mega-BABE (see what I did there?!) and she is definitely everyone’s #WomanCrush every day. She’s a beauty both inside and out with one of the kindest hearts and for someone as genuine and fantastic as Cree Cicchino is, she definitely deserves all of her wonderful accomplishments and the many more coming. I, Alexisjoyvipaccess had an excellent time covering and attending The Thundermans‘ 100th Episode Party and had a great time catching up with and interviewing the radiant and dazzling Cree Cicchino again at the event. Cree Cicchino dished exclusively to Alexisjoyvipaccess all about what superpower she would like to have, what it was like working on the Game Shakers and Henry Danger cross-over episode, what is another Nickelodeon show she would like Game Shakers to have a cross-over episode with and so much more only in our VIPAccessEXCLUSIVE updated interview. Cree Cicchino even revealed who would be her sidekick if she was a superhero in real life – hear what she had to say in our VIPAccessEXCLUSIVE updated interview below. Thanks for another amazing interview, Cree! 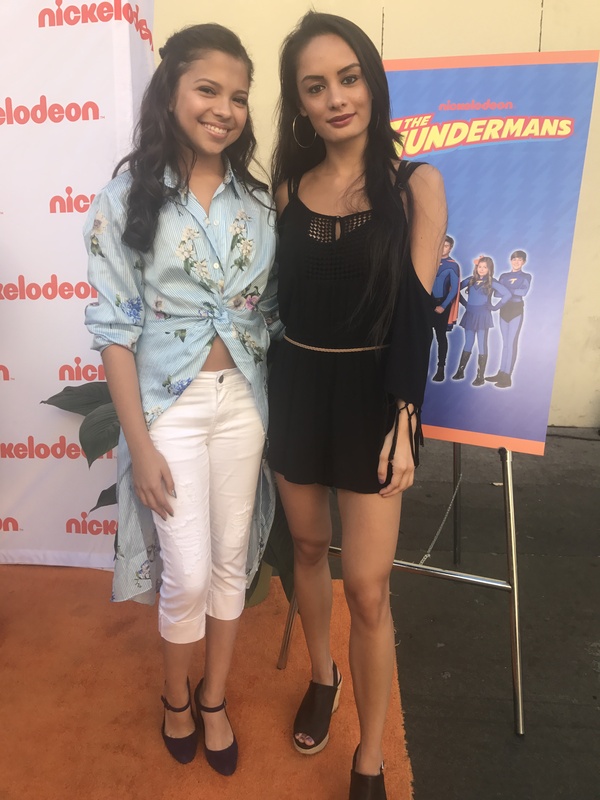 Check out my VIPAccessEXCLUSIVE updated interview with the stunning and spectacular Cree Cicchino at The Thundermans‘ 100th Episode Party below! Previous VIPAccessEXCLUSIVE: Madisyn Shipman Interview With Alexisjoyvipaccess At “The Thundermans” 100th Episode Party! Next VIPAccessEXCLUSIVE: Jack Griffo Interview With Alexisjoyvipaccess At “The Thundermans” 100th Episode Party!